Welcome to the CBS Renew/Cancel Watch. All in-season, scripted primetime shows airing on CBS in the 2017-18 season are included in the prediction table below. My predictions are current as of February 23, 2018. CRIMINAL MINDS v. SEAL TEAM Criminal Minds is old, expensive, and only partly owned. Its ratings are just OK in the 10pm slot, and it's part of a disappointing 9-11 block on Wednesdays. It's currently down about 27% year-to-year, a relatively sharp decline that is due in part to its move from 9 to 10. Comparatively, SEAL Team is newer, less expensive, and 100% owned by CBS. The ratings for SEAL aren't strong for its slot and are less impressive than what S.W.A.T. has managed on Thursdays at 10, but it's still one of CBS's top dramas. Both of the Wednesday dramas could feasibly be renewed or cancelled this year, and they're not necessarily in competition, but I get the feeling that Wednesdays will need a shake-up. I'm more skeptical about Criminal Minds at this point and have decided to place it on the bubble. As always, its fate relies on negotiations between CBS and ABC Studios, which is always a risky place to be in. Cast members have come and gone in recent years, so overall costs and cast talks could be what brings the iconic procedural to an end this year after several spinoffs failed to carry on the legacy. 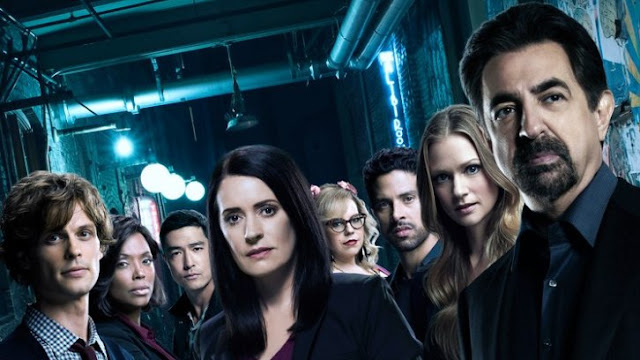 CBS has benefitted from a long relationship with Criminal Minds, but they might now be in a place to prioritize their new blood and younger series with syndication prospects. SEAL Team remains likely to be renewed for now. The surprise success of the upcoming new drama Instinct could affect SEAL Team's fate going forward. SCORPION Yes, it's CBS's second lowest-rated series on the air right now. No, it doesn't have a syndication deal at the moment. However, the Eye Network is never to be counted out when it comes to its ability to sell procedurals into syndication. Madam Secretary and NCIS: New Orleans recently solidified deals that will keep them on the air, which gives hope to Scorpion from the same 2014 class. While Person of Interest already had a syndication deal when its final season was announced, I can see Scorpion getting similar treatment with a benched 13-episode fifth season, which would give CBS more time to sell it and add episodes to the package. They could also renew it for a 22-episode fifth season and still bench it, similar to Elementary at present. Realistically, CBS does not bring it back to the fall schedule with its current ratings. However, if they can find midseason slots for shows like Elementary and Code Black with varied episode counts, it seems plausible that Scorpion can continue in some fashion while its afterlife opportunities are looked at. It seems unlikely for CBS to just drop the show completely after four seasons, when there isn't a recent precedent for that. As such, it's still likely to be renewed.